We’re not your ordinary towing company. 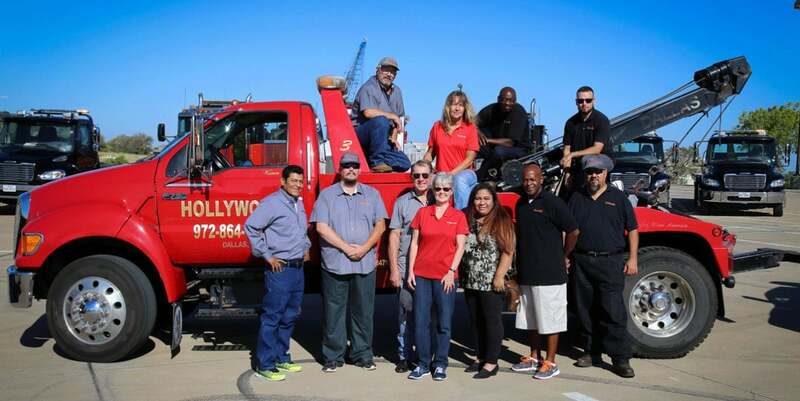 Founded in 2001 Hollywood is a woman-owned business, certified through the Women’s Business Council Southwest and the North Central Texas Regional Certification Agency. Those certifications help our clients meet business diversity contractual requirements and internal goals. It also makes us part of a growing force in America’s economy. The number of woman CEOs in the Fortune 500 made a big jump from 21 in 2016 (4%) to 32 in 2017 (6%). But that’s still far below what it could be. Here are a few more statistics concerning the importance of women-owned businesses. There are nearly 10 million companies with women business owners in the US. They create around 8 million jobs and generate over $1 trillion dollars in annual revenue with over 1/4 billion dollars going into payrolls. That’s 31% of all privately held firms, 14% of all employment, and 12% of all revenues, opening great opportunities for everyone. 99% of all woman-owned businesses are small businesses. Becoming one of the certified Women’s Business Enterprises (WBE) requires a lot more than just writing a percentage of ownership in a partnership agreement or incorporation filing. Here are the core requirements. 51% or more of the firms ownership must be by one or more women. Those business owners must be US citizens. A woman must hold the highest position in the company. That woman must be active in determining the company’s strategy and in daily management. That, and more, has to be backed up with extensive proof and a huge amount of documentation. Our certifications really do benefit many of our customers. Federal, state, and local government purchasing agencies as well as most larger public corporations set goals for working with minority and women-owned businesses, with allotments as high as 25%. Hiring us demonstrates a commitment to supplier diversity to the public and commercial world, and meeting those allotments can mean some very tangible rewards. Research by the Hackett Group research shows that becoming a partner with a WBENC (Women’s Business Enterprise National Council) business owner has a 130% return-on-investment. Working with certified women-owned business has been shown to promote innovation, increase the number of vendor channels, and increase competition among suppliers. We encourage women business owners who qualify to look into becoming a certified woman-owned business. You’ll face very stringent requirements that are often difficult to demonstrate along with extensive paperwork. But we believe it’s worth it. Being a 100% women-owned business makes things a bit easier.